WELLSBURG — The presentation of several honors for a fallen Korean War veteran has brought some consolation to members of a Wellsburg family who lack details of his death. 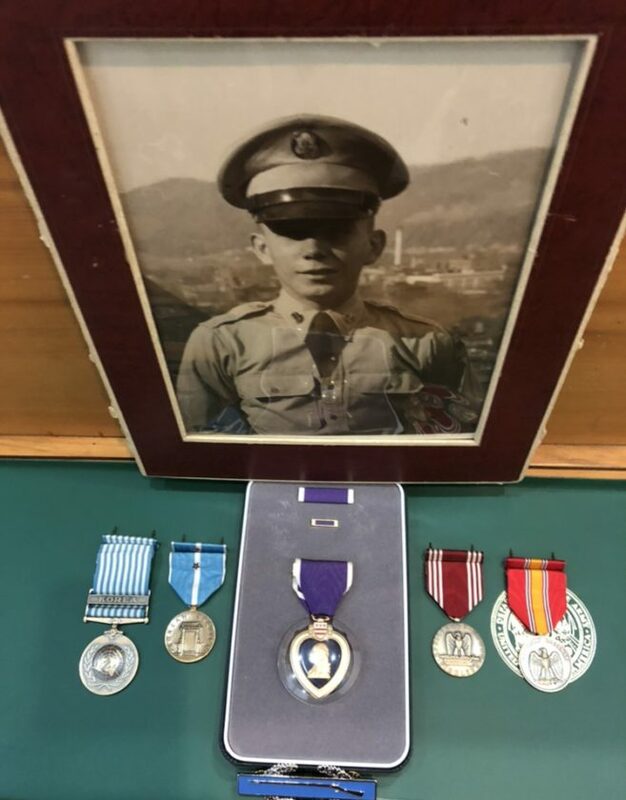 At a ceremony held Sept.1 at the Brooke County Veterans Memorial Park, Army officers presented a Purple Heart and several other medals to the family of Private First Class Lawrence J. “Buddy” Watt. Watt’s name appears twice on the park’s monuments, among Brooke County veterans who were prisoners of war and among those who died while serving their countries — a reflection of the mystery that surrounded his death for many years. Among several family members attending the ceremony were his younger brothers, Warren, who lives in Follansbee, and Jasper, who lives in Burbank, Calif.
Jasper explained his older brother was declared missing in action on July 31, 1950, then declared dead on Dec. 31, 1953. He noted the dates are significant only for the administrative purposes of the military, with the latter used only to indicate when his brother’s death benefits went into effect. Jasper said his brother, who would have been 86 on Sunday, had enlisted in 1949, not long before his 18th birthday. “Our parents had to sign for him,” noted Warren. The brothers recalled Buddy made some money by working on cars before joining the Army but wasn’t able to get a full-time job. “He thought it (joining the Army) would lead to a better life for him,” said Jasper. He said the family, which included two sisters, had lived in Mingo Bottom before coming to Wellsburg, where his father got a job at the S. George paper plant. Jasper Watts Sr. and his wife, Anna, lived with their five children, including two daughters, in a rural area known as Skull Hollow. Warren recalled hauling tubs of water from a spring house for the family’s old-fashioned washing machine. He and Jasper said the family didn’t have much, but managed with what they had. They remember their mother growing corn, tomatoes and other vegetables and making homemade bread and bean soup for dinner. For leisure the Watt children played with a baseball made from newspapers rolled and taped into a sphere and swam in Cross Creek. Jasper said Buddy underwent training for about a month before he was deployed with many others to South Korea. 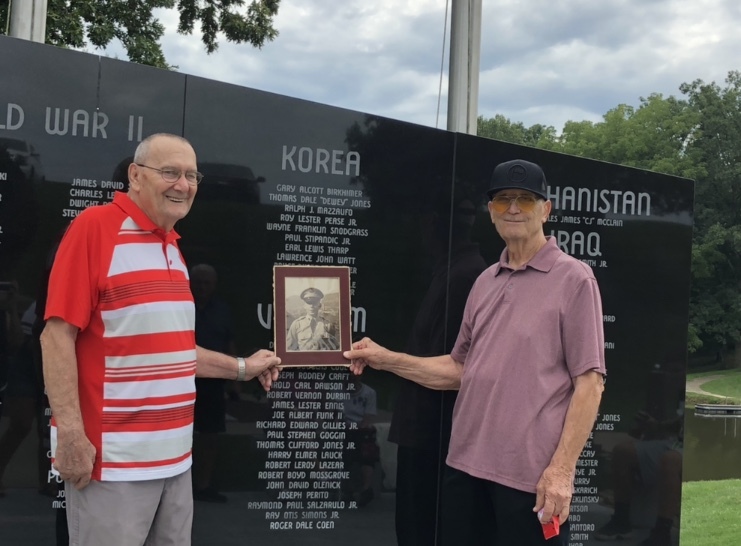 He served as a mortar operator in the 5th Cavalry Regiment’s 1st Cavalry Division, which was among troops dispatched to fight off the North Korean Army’s advance near the village of Chirye on July 29, 1950. In recent years Jasper learned Buddy was among 13 declared missing in action following the battle. He said his parents had heard a news report of North Korean troops lining up their captives in a trench, hands tied behind them, and shooting them and feared that Buddy died the same way. Jasper’s search for information about his brother led to the Army’s Past Conflicts Repatriation Branch. Officials there said more than 4,400 American soldiers who survived North Korean prisoner of war camps were questioned about fellow POWs and none recalled seeing Buddy. They noted he wasn’t included in the Johnnie Johnson List, which included the names of more than 500 soldiers who died while en route to POW camps in 1950. The list was named for Army Sgt. Wayne “Johnnie” Johnson, who secretly compiled it while he himself was held captive. In March 1954 the family received news that Cpl. Harold Smith, who also served in Korea, was asked about Buddy and three others who were missing in action. Jasper said the description fit his brother, who had a young face and a crew cut even before entering the military. He said it was common for the North Korean Army to kill captives who weren’t able to keep up on long treks to North Korean POW camps operated by the Communist Chinese government. Jasper noted the fate of those who made it to the camps also was bleak, with many of the POWs starved, beaten and tortured. Since 1996, Army officials have been searching and excavating POW march sites and other areas of North Korea intermittently, depending on relations between the United States. and Korea. The efforts have resulted in the return of the remains of more than 220 U.S. servicemen, but the Department of Defense has reported there still are several thousands of missing service members unaccounted for. Jasper said he will continue to seek information about his brother, and Warren is hopeful he will succeed. “If they could find him, that would be nice,” said Warren. He and Jasper said they and their family are thankful for the presentation at Brooke Hills Park.